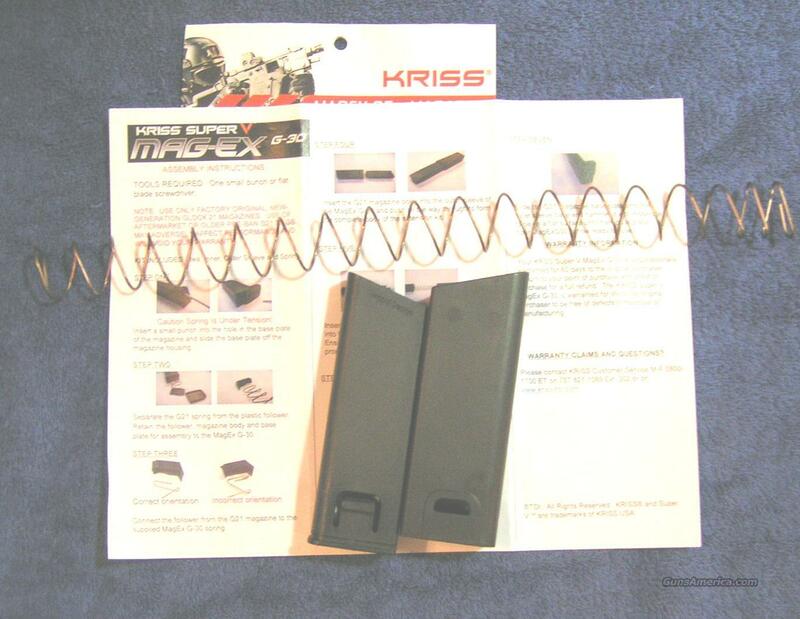 Description: New in bag Kriss Vector Magex Extended Magazine Kit for a Glock 21 mag (Glock 30 mags too). Increases capacity by 17 rounds. Kit includes extended spring and housing and instructions. No magazine is included. Price is for 1 kit but more might be available at the same price. I accept all credit cards, also cash, personal checks, company checks, money orders, cashier's checks, and bank checks. No credit card fee. Shipping is $4. Florida residents add 7%. I combine shipping. Check out my other auctions. Rich.